Just to be clear, I am a feminist. I believe in equal rights for women, I believe that little girls should be told that they can be whatever in the world they want to be, but in my life, I think I stumbled upon part of the reason that women are underpaid. Talking about money is terrifying. Asking for a raise is emotional. At least for me, this isn’t just business. You see, I started working at my job in April of 2009. My boss quoted me an hourly rate plus a percentage commission, “just to start,” implying that we’d have a conversation about increasing either the percentage or the base at some point. Instead, my hours increased. I went from being a very part-time employee to a full-time employee. I work in the sales department. I’m not bragging when I say that I am the reason that this arm of the company is profitable. We went from negative income in the first year to bringing in more than enough money to pay my salary after two years – in a rough economy. And now, we’re even better off. But I still make the same amount that I was quoted three and a half years ago. I’m a victim of the pay gap. I’m an underpaid woman. Who’s fault is that? Mine. Sure, when we brought more money in, the commission segment of my paycheck got bigger. But I’ve never once brought up the idea of being paid more money. Not once. Last week, I consulted a very good friend of mine (who is a big deal in his own right). He said that I need to tell my boss that I have great plans for growing the company even more, and list concrete examples of things I’ve accomplished, and then ask for what I want. I haven’t done it yet. The mere idea gives me a tightening in my chest. I honestly feel like this is a gender thing. My coworker said that he asks every six months for a raise. “You haven’t asked at all?” he said, incredulously. No. I haven’t. Talk about equality in the workplace. She’s right. I need to address my own pay gap situation. It’s not personal. I’m not asking a personal favor. I bring value to my company, and in this case, I can put a dollar figure to that. It’s okay if he says no. It’s okay to ask. I do not need to feel bad about asking for a raise. In order to feel comfortable asking, I need to spend a few minutes researching the financial gains we’ve made in the last three years. I can present the case for a raise in a non-emotional way. I can decide, based on what he says, to look somewhere else. I am giving up a lot to work here. I don’t need to be an underpaid women suffering from the pay gap. It’s better to be rational. Keep it short. I do not need to justify, and any extra words show up loud and clear as insecurity. Crunch the numbers to show what impact I’ve had. Write down my plan for 2013. Send an email to my boss asking if we can talk about my growth with the company. Talk to him in the early morning this week. Please, friends! Give me advice. What am I missing? What should I do? Men in the audience, do you fret about this conversation or is it the same as asking about vacation time? Check out I will teach you to be rich, Ramit has a great word for word script to ask for a raise. I know it is hard and I hate it as well but over 3 years with no raise isn’t right either, and if they don’t offer it to you it is because they think you wouldn’t ask anyway, they are taking advantage! In my experience there’s only one way to demonstrate convincingly that you’re underpaid: Get an offer from a competing company. And for your own sake, it’s important to know your market value. That’s going to be more powerful than all the abstract arguments in the world trying to connect what you do at your job to the company’s financial results. Good luck! Take a deep breath and ask. What works is psyching myself up before going in by reviewing all the hard numbers of how I’ve helped the company and asking for a slightly bigger raise than I think I deserve because they might negotiate me down. Don’t use words like: I think, maybe, I hope. It looks like you’re going down the right path here. My suggestion, it looks like you’re already doing this, is to let the numbers do your talking. Show what value you have brought to the company/department and it’ll be clear. It can be stressful, but separating those emotions will do wonders. Luckily, I’ve worked for myself for a long, long time. But, back when I worked for others, I got that same knot in my stomach. The main reason it occurred for me: I was afraid they’d cut me loose. I didn’t want to lose my job because I asked for too much money. Now I know that jobs are a commodity and I’m the talent. I can take my talent wherever I want. If a place doesn’t want me, I’m better off elsewhere. I haven’t had to ask for a raise yet but I should probably ask for more at some point. I just started 9 months ago though so maybe at raise time next year i’ll ask for a bit more or more vacation time. You totally should ask though and make sure you know your market value somehow and state your case. Ask for above what you want and negotiate down to what you do want (as long as it isn’t absurd). It’s so easy to get approached by head hunters these days. Why not post your CV online and follow a few leads to see what your value is? You will be well armed to take up the fight for a salary increase if you choose to proceed. I think you’ve nailed all the points. 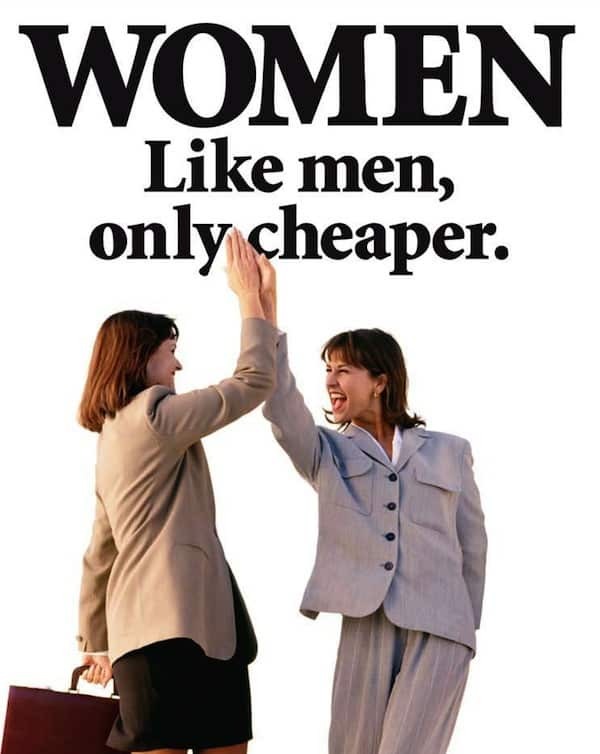 Although the point of your post is about women+pay gap my husband was in the same situation. He started with a company, the agreed on an hourly rate but he, like you, in 3 years never received a raise. He’s been given loads of responsibilities and qualifications in the past 3 years and has been the driving force behind the company grossing hundreds of thousands of dollars. He works OT weekends, never billing the hours. I finally stepped in and said that he was being ridiculous and needs to speak to his ‘boss’ (they’re very much at the same level) about a raise. Hubby got as far as ”We need to discuss me getting a raise” before he was stopped and given a $5.00/hr raise effective immediately. He was going into the conversation asking for 3.00/hr so we were more than happy. Let me start by saying that men and women should be paid fairly. Fairly is not a function of gender but of value to the company or organization that they work for. Sixty percent of all college degree are now issued to women. 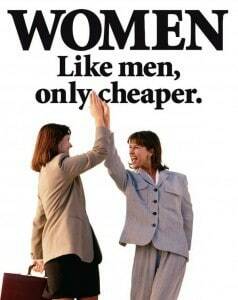 The pay gap hopefully as a result of this will soon be history. Our society values education very highly and women are doing very well in school. The flip side is that men are not doing as well. As more jobs require more and more expertise, it will be very difficult for men to keep up. There already seems to be an increase in socially negative behavior on the part of young men who aren’t doing well in the educational system. Yes equal pay for equal work; but there may be larger issues at work as well. Someone once gave me a little troll doll that says “Women who think they are equal with men lack imagination.” Remember that! I absolutely get you point of view, my fiancé is the same way. She is super smart and honestly works way harder than I do. The only difference is I’m always asking (demanding) more while she takes whatever they give her with a smile. I’d she were to assert herself I think she would be making 50% more. I hope all women aim not to be like men but to ask for what they deserve. Worst case they tell you no, you’ve got nothing to lose.